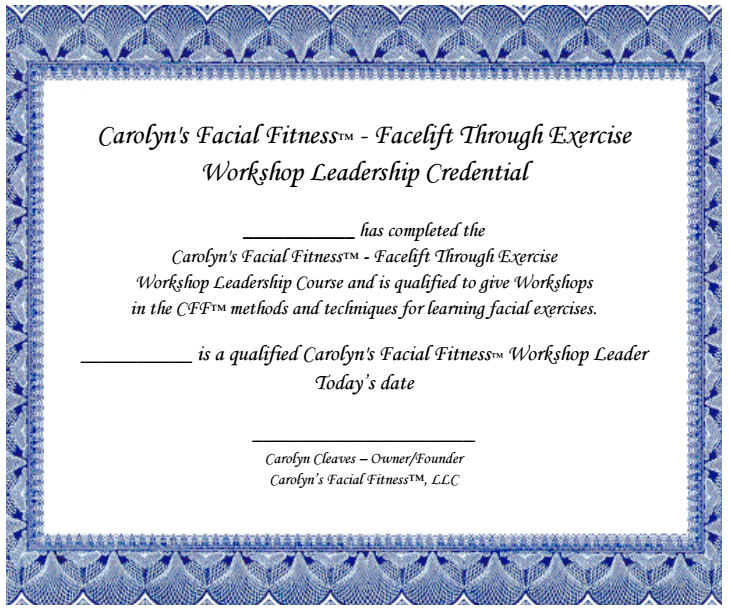 I offer a Workshop Training Certification Online course that prepares you to teach the Carolyn’s Facial Fitness™ facial exercises to others. I am a certified teacher of math, science, English and reading. I also have a Master of Arts degree in English literature. I know how people learn. • A well thought-out lesson plan you can use for teaching the exercises. • Handouts you can print out and give to your students that will help them to understand the facial exercise process better, giving them understanding and therefore confidence in the program. • An attractive diploma you can frame and hang, authorizing you as a certified teacher of the Carolyn’s Facial Fitness™ system. Once you’ve completed the course and are teaching, I’m available for consultation whenever you have the need. You first have to use the CFF program over a 3 month period of time. When you purchase the program, take pictures of yourself. Email the photos to me at [email protected]. I will evaluate them as to where I think you need to strengthen your face. Then, send me pictures of yourself again in 3 months and I will critique them again for you. At this time I will tell you if you need to add any bonus exercises and which ones, as well as exactly how and what I see as your progress. This helps you to “look” at faces correctly and you then can start to learn how to look at other faces and see for yourself how well the CFF program gives a powerful and elegant build to the face and neck. It’s really a lot of fun. One more set of pictures is sent to me at the 6 month mark. By then or even earlier, you’ll know if this is something you want to teach. If it is, you can then take the Online course to become a teacher – a Workshop Leader. At the end of the course you will receive materials for teaching. Included in this will be a “Before and After” book with your own photo essay, plus others who have used the CFF program with my comments for you to show to people. This will give you more relevance with your students as a teacher, especially when your own pictures are included. Look at some of the B & A pictures here on the CFF website so you can already get an idea of how it’s done. Of course, when I critique, I tell people which exercises to do next to achieve a goal .. ie … add this or that bonus exercise to help lift your jowls that much sooner, etc. … This is the customization process for each individual, helping them to get the results they want. 1. What is the total cost of the licensing process and the breakdown? A: $498.00. You make a deposit of $150.00 that is non-refundable when you start the Online course. The course does not take more than a few weeks or it can take as long as you wish. There’s no pressure from me. I will give you your task and it’s up to you when to complete it. The $150- is non-refundable and is only covering my time in case you decide not to complete the course. Otherwise, this $150 is put towards the $498.00 for the final licensing. When the balance of $348.00 is paid, I will then send you all the materials for teaching. 2. How will the online course be conducted? A: After you purchase the facial exercise kit for yourself, for the first 3 months you will follow the instructions I give you for performing the exercises. You will need to take good quality photos (per my instruction) of yourself at the beginning, the 3 month and then again at the 6 month mark. 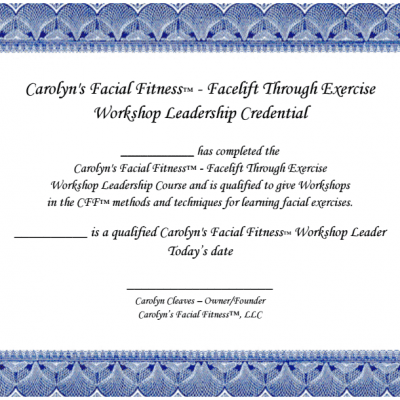 During this time I will ask you to read all of the FAQ info and articles on the website so that you can start to understand how the CFF facial exercise program works and how facial exercises work in general. This is a good foundation that will empower you to be able to answer any questions about the process with your future clients. • Before and after photo pages and more that you can print out and use for teaching. 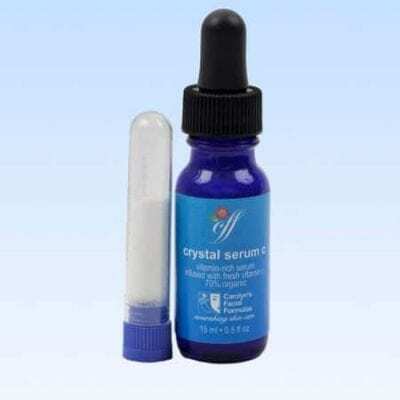 • You will also get to know the major important muscles of the face that you engage in facial exercising as well as the structure of the connective tissue, etc… It’s very interesting. 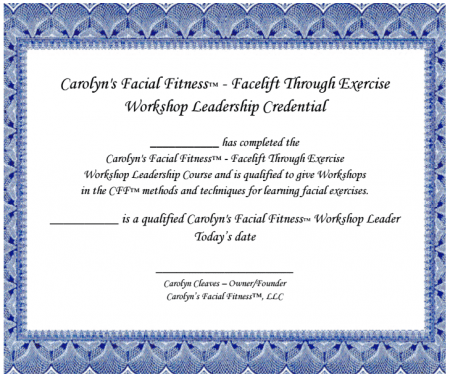 • A diploma of certification for teaching the CFF facial exercise method. 3. 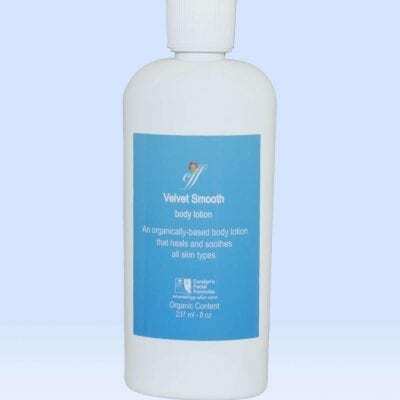 Will I receive certificate of licensing? A: You will receive a diploma you can proudly display in your workshops. 4. How does your program differ from other facial exercise programs? A: Here are some FAQ’s that should answer your questions about other programs. If you want me to be more specific, just write to me and I’ll try my best to answer. Since everyone seems to have a different face, how can one program fit all? Why are the CFFitness facial exercises so effective? How was Carolyn’s Facial Fitness Designed? I know this is quite a lot to review to just get started, but I want you to be sure this is something you really want to do. I love teaching and offering facial exercises to anyone who may be interested. 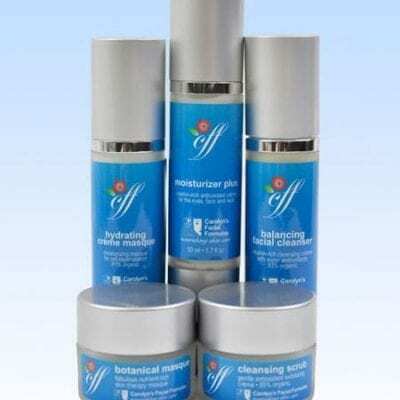 The CFF program in particular gives a very powerful, elegant and balanced look to the face and neck. In my opinion, better than any of the other programs on the market today. This is not an accident, I have worked hard to create and design a program that works well and gives a beautiful build to the face and neck. It’s the combination of exercises that gives you the results you want. If you wish to start the program now, just pay the non-refundable $150 deposit. Upon completion of the course, you will pay the $348.00 remainder which will be the balance owed so that you will have paid a total of $498.00 by the end of the course. You will then receive all of the materials for teaching as well as your diploma!